A week from its release, Madden NFL 18 offers us a two-minute video focusing on story mode. Two new game modes are emerging in this new EA app. The first mode is called MUT Squads, a cooperative multiplayer mode of the Ultimate Team genre, and the second is called Longshot, which is none other than the single player campaign. 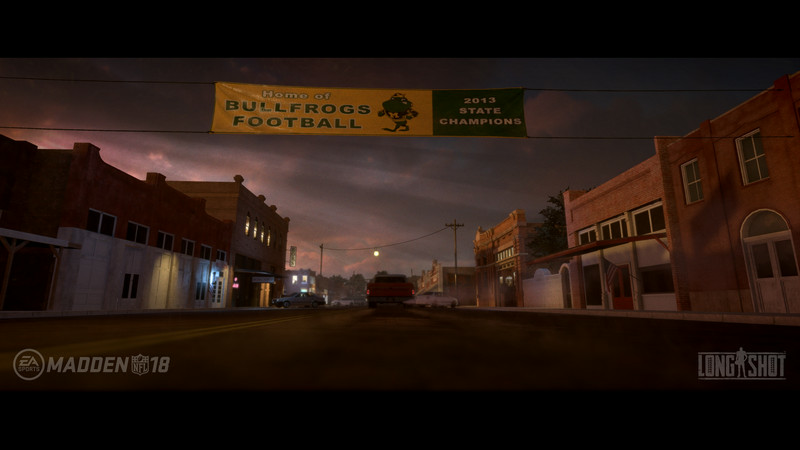 In this story mode, you will follow Devin Wade, a former university star who had to give up in his NFL dreams. This one has the possibility to regain its dreams of yesteryear. The game mode was developed with the help of another EA studio, BioWare. Several actors will be present as Mahershala Ali, JR Lemon, and Scott Porter. Madden NFL 18 will be released on August 25 on PlayStation 4 and Xbox One. Stay tuned at www.madden-store.com for more details.